Take it seriously: Yes, you’re applying for an online job. Yes, you can do the work in your underwear, but that doesn’t mean it’s not a “real job”. You must treat it as such or they aren’t going to treat you as a serious candidate. You aren’t the only one who wants to work in their underwear. In fact, the competition online is likely higher than it is in your local area. Be professional: When you submit a résumé, don’t type it in ALL CAPS and please don’t avoid the caps lock like the plague. Know how to use it without looking incompetent. Write in complete sentences with proper grammar. Of course, there will be exceptions, but even with the exceptions, you must keep it professional. You’re building their view of you. Give some, but not all: Whether you’re providing writing samples, a photography portfolio or links to your work, give them enough examples to get the idea, but not so many that they don’t even know where to start. And while we’re on the topic, give them some of your background information, but don’t tell them your life story. InboxDollars – InboxDollars is similar to Swagbucks since you’re going to be taking surveys, shopping, etc., so if you want to maximize your return, sign up for both websites. They also offer a search engine that pays you (like Swagbucks) and you get $5 just for signing up. I won’t continue to list survey sites one after another down the list, but if you want to get paid to take surveys, also check out GlobalTestMarket, E-Poll Surveys, and Survey Club. Fiverr – Fiverr is a great place to make a few bucks or spend a few bucks if you need some of the services people offer. Basically, everything is $5. You either pay $5 or charge $5. They call them “gigs.” You can offer your services however you choose. If you sell art and you’re fine selling pieces for $5 each, that’s a gig. If you’re a graphic designer and you want to offer your services for $10/hour, simply offer a 30-minute gig. If they need two hours of graphic design, they pay you $20, or $10/hour by buying four gigs. IZEA – IZEA works in addition to a blog or on its own. You get paid to blog, tweet, take photos and take videos. The pay is mostly based on your following, so if you want to make money with your tweets, you’ll need to grow your Twitter following. Likewise, if you want to make money with blogs, you’ll need substantial blog traffic (more on blogging below). A List Apart – A List Apart pays $200 for each accepted post. They’re not first on the list because they tend to publish fewer articles, which means you have a smaller chance of getting accepted. Same guidelines as above, 1,500-word minimum. Uxbooth – Uxbooth pays $100 for each accepted post. They do tend to take four to eight weeks to accept and post articles, so don’t count on this being a quick money maker. They take so long because they pair with editors to only publish amazing content. Textbroker – Textbroker pays up to five cents per word if you’re a 5-star writer. You’ll start by submitting a short sample article and you will most likely start as a 3-star writer, but you can work your way up by writing more and writing great content. Matador Network – Matador Network pays up to $60 for each accepted post, but the standard pay is around $20-$25. They don’t really focus on a minimum word count, but they have a maximum count of 1,500 words. Do good business. Plain and simple. Whether you’re selling on a small site or opening an online store, your customer service matters. You’ll want to get those positive reviews and make a good name for yourself. Respond to questions, concerns, and complaints. Offer a guarantee if available. eBay – Of course you can’t read an article about making money online that doesn’t mention eBay. You can start an eBay store and get serious about it or you can just sell some stuff to declutter your home. Either way, I’ve made my fair share of selling on eBay and it’s still a popular way to earn money. If you decide to start an actual eBay store, you’ll want to find a drop-ship business like Doba that will store and ship items straight to your customers so you don’t have to deal with an inventory. Facebook – Facebook swap shops are great for selling things locally. It’s like CraigsList, but a little easier. You simply search for swap shops in your area and ask to join the group. Once you’re in, take a picture of the item, write a quick description of the price and post it. It doesn’t get much easier than that. You can generally expect to get about what you would get at a yard sale, maybe a little more. Hey look, an article about making money online that doesn’t mention blogging. . . oh, wait, here it is. First off, I’m a blogger so it seems wrong not to mention it, but more importantly, it’s a legitimate way to make money. It’s quite possibly the least straight-forward way on this list, but it’s very doable and it’s also quite possibly the most fun way on this list. I love blogging and I know hundreds of bloggers who feel the same. So let’s talk about making money blogging and what it really means. Blogging is something that requires patience, persistence and discipline. It may mean writing every day for over a year before you really start to see any money from it. There are exceptions to the rule, but from my dealings with other bloggers, it seems to be pretty common to spend one or even two years building your blog, your brand, and your authority, before making any serious amount of money. Advertising – This is definitely the most old-school way of earning money with a blog. It’s also starting to become the least common way. You can sell advertising spots directly on your site or you can sign up with a company like Google AdSense, Media.net or other Ad Networks, Either way, you won’t see a whole lot of money from ads until your views are well into the thousands each day. 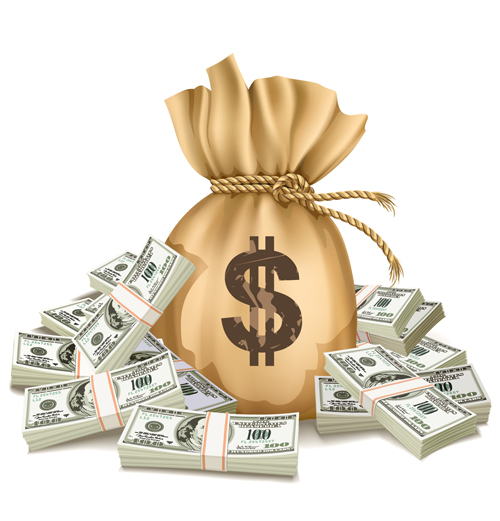 Sponsored/paid posts – Many blogs publish sponsored and paid posts. Sponsored posts are basically just posts about a specific brand, product or service. A company will pay you to publish an article about it. It’s similar to other paid posts as well. You're basically selling the spot for the article on your site. If you decide to take this route, you’ll want to build your traffic before you will get many offers. Videos – This could be an entire section on its own. Many people have made money by creating YouTube videos. Evan of EvanTube is a kid and he has made millions by creating reviews of products that other kids his age would use. It’s not easy to get views into the millions, but once you do, you’ll start seeing some cash come in. Many bloggers have completely turned to videos to get their point across by starting a video blog. If you’re truly interested in becoming a blogger, start by looking through the archives of ProBlogger, Copybloggerand Boost Blog Traffic. Then go read through all the free guides over at Quick Sprout. It may take you a year to complete those tasks alone, but it will be worth it. You’ll practically have an MBA in blogging. Fast Chart – Fast Chart allows you to work from home as a medical transcriptionist. There are some requirements and qualifications listed on the page, but if you meet them, you’ll make competitive pay for the industry. You’ll also be able to set your own schedule since you’ll be working from home. Now you’ve got many different options to start earning online. If you saw something that really interests you, try it out and learn more about it. If you’re really wanting to make a full-time income online, you need to be dedicated to learning how to do what you want to do. There are tons of free resources out there. You just have to search for them! Happy blogging! 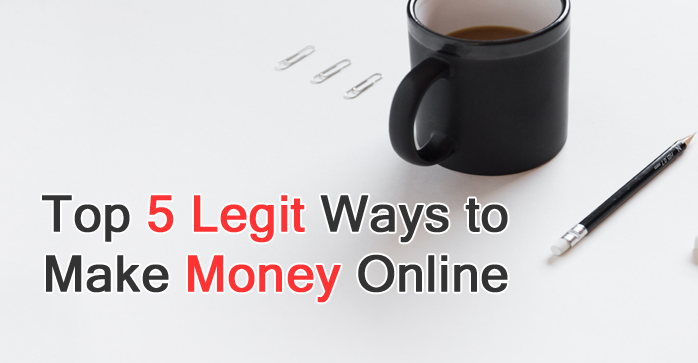 There are countless legitimate ways to make money online. The problem is that the real ways to make money aren’t “get rich quick” schemes.